View our tip sheet now! Journalists and bloggers submit requests for sources, also known as queries. (HARO sends out queries three times a day at 5:35 a.m., 12:35 p.m., and 5:35 p.m., Eastern time). Sources with relevant expertise reply. Voila! Journalists get a more well-rounded story and brands get earned media coverage. Through HARO, you or your brand can become the go-to source about a particular topic. You can also use the service to build rapport with journalists and strengthen brand reputation, with the possibility of growing quality backlinks. It’s a mutually beneficial relationship. But it takes more than a basic response to lay claim to coverage. To be successful with the service, check out these 10 essential HARO tips. Read and evaluate each query carefully, particularly the requirements section. Do you meet all the journalist’s criteria? If yes, respond. If not, let it go. It’s a waste of your time and the journalist’s to respond to a source request for which you aren’t a perfect fit. Journalists often work with quick turnaround times. We generally suggest you pitch your expertise or story within an hour of the query going out, as that is the typical time frame journalists make up their minds about sources. However, if that is not feasible, you must still pitch within the published deadline. Time is of the essence, but don’t neglect to proofread and edit your pitches. Journalists often quickly delete poorly written replies. Treat each pitch, no matter how short, as if it were a cover letter for a coveted job. Try using Grammarly's free editor. You can copy and paste your work and it will quickly identify common typos. Journalists are looking for real-world expertise and stories, and can easily detect a fluffy pitch. Stay on topic! 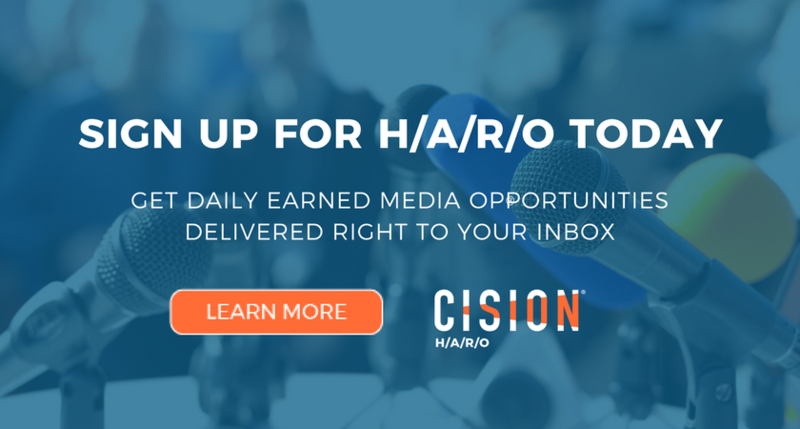 Do not use HARO to share a press release, tout credentials or pitch a product, unless the query asks for this information. Off-topic and unsolicited pitches are against HARO’s rules and can result in a ban from the service. HARO pitches should be short, at most 300 words. 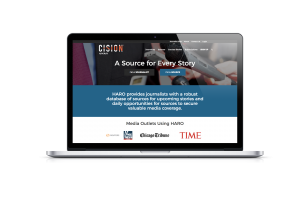 Many journalists prefer HARO pitches to be 175 words or less. Attachments are automatically stripped from the email in order to protect journalists from viruses, so use services such as Google or Dropbox to send links to images or documents in your pitch. This makes it easier for journalists to reach you and allows them to choose the platform that’s most convenient. Include your phone number, email address, website and social media handles. Emailing or calling a journalist repeatedly will get you nowhere fast. But, you can establish common interests and share their articles on social media. Your first pitch might not have been accepted, but your second or third might because of the relationship you’ve established. Do not harvest a journalist’s contact information for an unsolicited pitch. Not all of your pitches are going to be accepted, but don’t let the content go to waste. Wait a month after the source request closes. Then, dust your replies off and turn them into content for your brand’s site or blog. 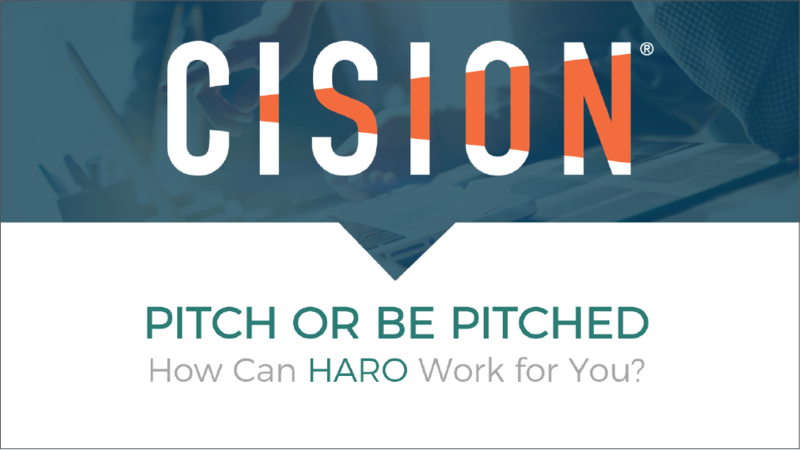 Just as you track traditional pitches and other PR efforts, monitor your work with HARO. Practice makes perfect! Test your subject lines, pitch content and media relations tactics. Keep testing and refining until you hit the sweet spot and start winning more publicity. HARO is a simple, but extremely powerful tool. Succeed by responding quickly to source requests and building relationships on social. When you do, you will not only increase media coverage, but you will also grow your brand’s reputation and establish its position as a leader in the marketplace. For an in-depth look at more best practices, click below to view our HARO Best Practices presentation.